Liz is a registered patent attorney with more than 10 years of experience providing intellectual property services to individuals and companies of all sizes. She has substantial experience in the preparation and prosecution of U.S. and foreign patent applications, consultation with clients to avoid patent infringement, preparation of patent invalidity and non-infringement opinions, intellectual property due diligence and strategic counseling. 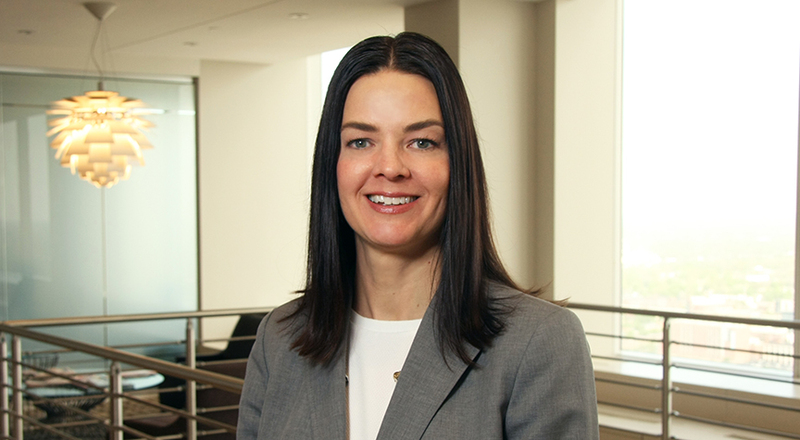 Liz enjoys helping clients implement strategies to protect and grow their intellectual property portfolios. Liz is the former chair of the Intellectual Property Section of the Indiana State Bar Association. Shuster is the co-founder of the Indy Attorneys Network Section of the Indianapolis Bar Association, which promotes collegiality between attorneys and also serves on the IndyBar’s 2018 Innovation and Research Council. Liz is also a founding member of the Indiana ChIPs chapter. Before law school, Liz was a structural engineer, designing various types of bridges nationally and abroad. She designed over 40 bridges and became a registered professional engineer in Illinois in 1996. Representing clients in matters involving all areas of mechanical devices and medical devices. Example devices include child safety seats, seat belt restraints, fasteners, fastening devices, towing equipment, gaskets, medical devices, biosensors, orthopedic implants, drug delivery devices, catheters, inflatable catheters for drug delivery, catheter hubs, agricultural equipment, cosmetic applicators, cabinets and food packaging, to name a few. Preparing, coordinating, obtaining and managing prosecution of U.S. patents. Preparing, coordinating, obtaining and managing prosecution of foreign patents. Drafting patentability opinions, patent clearance opinions, infringement and non-infringement opinions, and reissue proceedings.